Credit card issuers weren’t happy when the CARD Act of 2009 was signed into law. Between May of 2009 and the August 2009 and February 2010 dates when the new regulations went into effect, they worked hard to ensure new profit sources. But in spite of that, Americans are carrying less debt than they were a year ago. 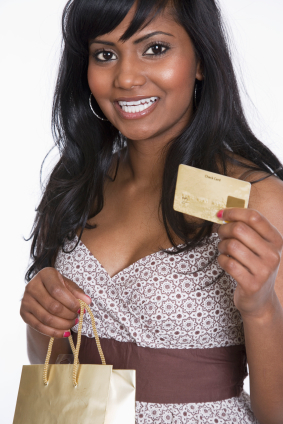 Average credit card debt in the first quarter of 2010 was down 10.6% from during the first quarter of 2010. Fewer consumers are falling 90 days or more behind on credit card payments as well. That figure is down nearly 16% – from 1.32% in 2009 to only 1.11% in 2010. With fewer penalties, and no surprise interest rate increases, consumers have been able to make a larger dent in their credit card balances in spite of higher interest rates overall. Under the terms of the CARD Act, credit card issuers may not increase the rate on a consumer’s current balance unless he or she is 60 days late – or unless the card carries a variable rate. Many cards now do carry a variable rate, but the fluctuations in interest are minute – changing only with the Prime Rate, which has held relatively steady. Compare this to the previous rate increases of as much as 10 to 12% in one month before the CARD Act went into effect. Another plus that resulted from the CARD Act is that issuers can no longer slash a consumer’s credit line to a level that will trigger an over-limit penalty. Before the act, there were reports of credit limits being lowered to as much as $6,000 below the customer’s current balance owed. For consumers who could not find a way to pay the balance that exceeded their new credit limit, over-limit fees continued to mount. These, of course, caused their credit scores to plummet, making it doubly hard to borrow money elsewhere to pay down the balance. The CARD Act is also making it easier for consumers to pay down their debt. Where a consumer’s entire payment used to be credited toward their lowest interest balances, now any amount over the monthly minimum is credited toward their highest interest balances. In the past, a consumer might have had a high interest purchase balance adding to his debt month after month, and was unable to pay it down until any low interest balance was paid in full. Another good sign for our economic future is that Americans seem to be less eager to take on new debt. According to TransUnion, the number of new cards opened during the first quarter of 2010 was down 24% from the same period last year.